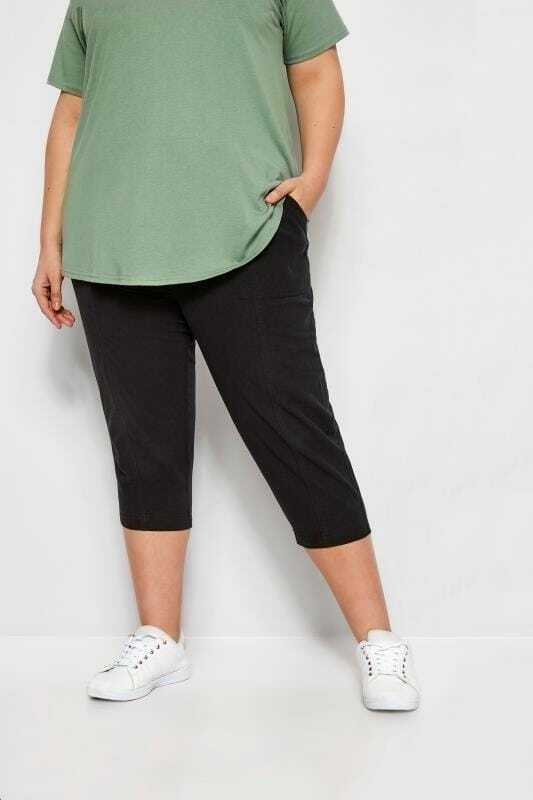 A wardrobe staple, shop our chic collection of plus size cropped trousers. 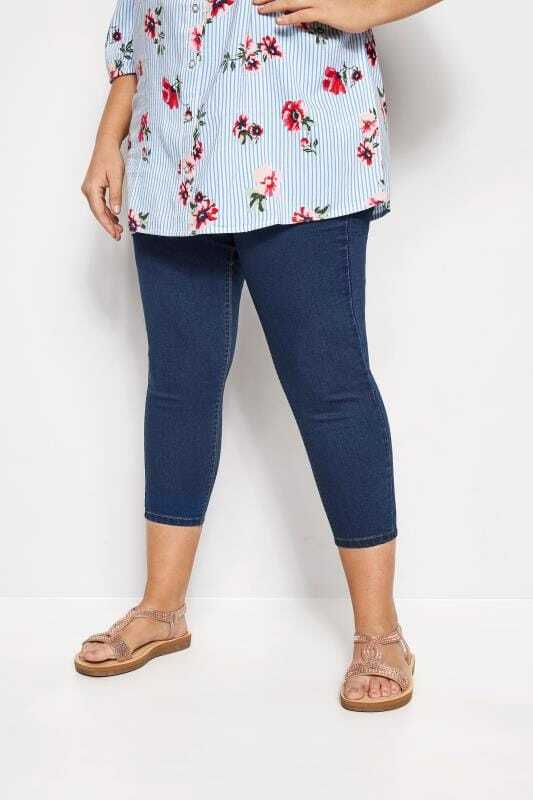 From culottes to denim crops, we offer a variety of must-have styles in sizes 16 to 36 to keep you looking super on-trend throughout the seasons. Whether you are dressing up or dressing down, we have the perfect pair to fit and flatter you. 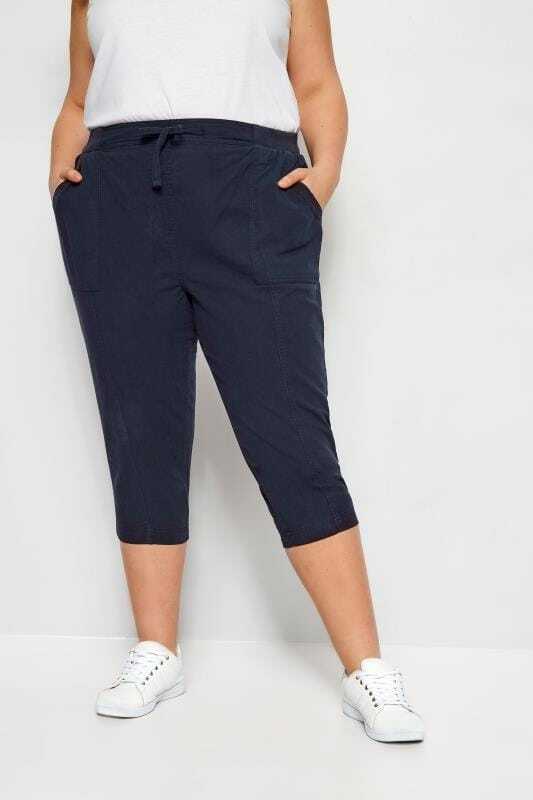 A trendy alternative to the classic full-length trouser, our plus size cropped trousers offer timeless style no matter what the occasion. 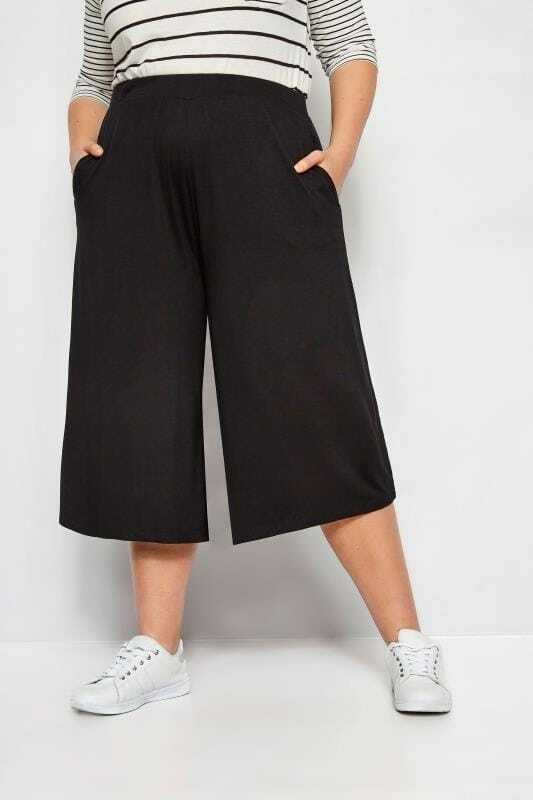 Ranging from sizes 16 to 36, choose from skinny cropped trousers or comfy culottes, to ensure that you stay on-trend all year round. Whether you’re wearing them casually, or looking for a smarter workwear trouser, we have the perfect pair for you. A cropped trouser is a great day-time alternative to the staple jean. Our cropped denim jeans and jeggings are a trendy way to switch up your everyday style. If denim isn’t your thing, we also have lightweight cotton cropped trousers for a cooler feel. Why not try matching them with a pair of our comfort-fit sandals and a gypsy top for a flattering daytime outfit. Switch up your workwear wardrobe with our range of culottes and cropped trousers. In a variety of colours and patterns, there are plenty of options for you to elevate your smarter style. Monochrome striped cropped trousers are a key trend this season, offering a chic alternative to the traditional black trouser. Try matching them with a black blouse and heeled mules for a simple yet stylish workwear look. Elevate your evening wardrobe with our patterned cropped trousers. With a plethora of colours and prints, our collection will ensure that your going-out-out wardrobe is stocked full of options. Offering soft fabrics and elasticated high waist garments, our designs combine fashion and function. Match with a block colour blouse and statement earrings for a sophisticated night-time ensemble.